Most women have to withstand a lot of pain when having their regular menstrual cycle. These pains can also be a result of post-menstrual pains of the uterus. You may have across the term dysmenorrhea which also refers to the menstrual cycle pains. Many women experience menstrual pains that are characterized by sharp pain along with headaches, nausea, lower back pain and digestive complications. There are many ways through which these problems can be remedied. A lot of research has gone into trying to come to a permanent solution to the painful effects of menstrual cycles. At present, we have both prescriptive and over-the-counter drugs which are used to treat menstrual cramps. However, these alternative treatments can result in serious side-effects. To expand your knowledge base, you must have a clue about these side effects if you are to avoid these medications. In most cases, some women go for birth control prescriptions. These birth control prescriptions are mainly for women who suffer from extremely painful menstrual cramps. You should be aware though that such birth control pills and formulations can lead to blood clotting in your brain and legs. In extreme cases, blood clots also occur in the lungs and heart. This can often result in heart attacks and suppression of your immune system. You may also be prescribed to NSAIDS or other Non-steroidal drugs to help with the painful cramps. Although we cannot refute the fact that these prescription drugs offer some respite for pain during menstruation, we cannot fail to mention that they have serious side effects as well. The prolonged use of these drugs often causes women to suffer from gastrointestinal complications. These complications include gastric ulcer and internal bleeding of the intestines. The increase in the risk of heart attacks is also another possible outcome of the long effects use of NSAIDS. Like any other organ in your body, a woman’s sexual organs must get a proper supply of nerves from the spine. Menstruation has a close relationship with the spine because it causes severe back pains in some women. It is because of the involvement of the spine in the menstrual cycle that chiropractic care and treatment comes into play. Women should know that with chiropractic care and treatment, you can forget about painful menstrual cycles for good. The best part is that you will never have to worry about the possible side effects. Why do we recommend chiropractic for relieving painful menstruation? The answer is simple; chiropractic serves to ensure that there is a proper and effective connection between your spine and sexual organs. This will make sure that you get a sufficient supply of nerves to your reproductive organs. By using this method, chiropractors can help women who suffer from painful menstrual cycles. One of the widely-used techniques in treating menstrual cramps by chiropractors is vertebral subluxations. Chiropractors prefer this technique because it also helps to treat misaligned vertebrae. A misaligned vertebrae or spine usually interferes with your nervous system. This interference causes a massive reduction in your immune system. By performing vertebral subluxations, a chiropractor can reduce the intensity of pain you are experiencing. This ultimately provides a permanent solution to the problem of painful menstruation. As you have seen, there is nowhere during this treatment where you are required to take any medication. Hence, spinal subluxation provides the most natural remedy for painful menstrual cycles. Besides spinal subluxations, a chiropractor may also choose to use a different technique to remedy painful cramps. 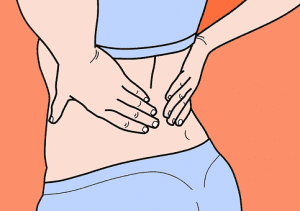 Spinal realignment is another technique which is very effective in relieving pain during menstruation is spinal realignment. This technique of chiropractic treatment is highly preferable because it helps to resolve other reproductive conditions naturally. If you are suffering from menopause symptoms such as hot flashes, depression, and headaches, you will be happy to know that chiropractic realignment of the spine can help you overcome these problems. Find a permanent solution to the pain resulting from menstruation by requesting for a spinal realignment from your chiropractor. The realignment of the spine is also a sure natural way of relieving joint and back pains, fatigue and irritability. It is also advisable to try and undergo spinal adjustment accompanied with additional techniques to your tailbone. This process should be repeated for the lower back musculature. You should schedule this treatment in two phases. One is that you can have it a day before the menstrual cycle begins and the first day of menstruation. Alternatively, you can decide to schedule the treatment so that you have it on the first or second day of menstruation. This procedure can help you diminish or eliminate the pain which occurs during monthly menstrual cycles. Although several techniques are being studied to find the best way to relieve menstrual cramps, it should be known that this is a purely physiological process that occurs naturally in all women. It is only due to the extreme pains which not all women can withstand, that we look for ways to get relief from it. According to world estimates, nearly 90% of young women experience some forms of dysmenorrhea. Similarly, 75%-80% of women suffer pre-menstrual syndrome. Pre-menstrual syndrome is a combination of both physical and emotional symptoms. We look at the drop table technique that is a very recent development in the chiropractic world. Recent clinical studies suggest that the drop table technique is an excellent chiropractic treatment for dysmenorrhea. During this technique, the lumbosacral area of your spine is adjusted in three cycles. Generally speaking, these are the few but effective ways of getting a permanent solution to menstrual cycle pains. Although evidence supports NSAIDs for use in providing monthly relief against these pains, I would rather you prefer a natural way of going about things. There is absolutely no reason why you should add more toxins to your body when you can get a more permanent, long lasting and effective solution for back pains due to menstrual cycles. The above methods of proving a relief for the painful menstrual cycle can also help with other conditions associated with the monthly menstrual cycle. For instance, chiropractic adjustments are widely used in treating endometriosis. This is chronic painful disorder in which the uterus lining tissue grows outside the uterus. This abnormality is a constant source of sharp and severe pain, especially during menstruation. The Endometriosis Foundation of America recommends several options such as; Diet and Nutrition, Exercising, Aromatherapy, Acupuncture and Osteopathy besides Chiropractic Treatment. There is enough evidence to suggest that chiropractic treatment offers the best alternative relief for menstrual pains. While evidence supports the use of prescriptive to achieve the same results but with adverse side effects, there is evidence which ties down any serious side effects to chiropractic treatment. Contact your chiropractor is you no longer want to go through this constant monthly painful experience. You will get the best natural solution with zero reversal effects.